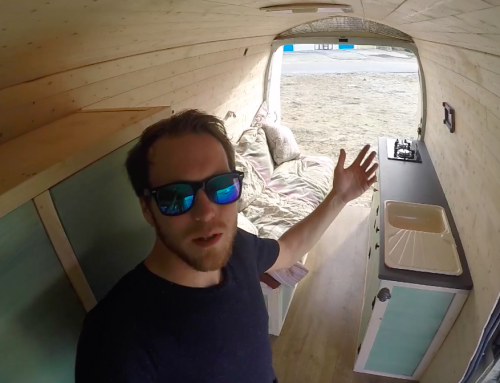 THE SHORT ANSWER: HOW MUCH DID MY VAN CONVERSION COST? Leah and I spent one month converting our van. The estimated cost was around £1,600. 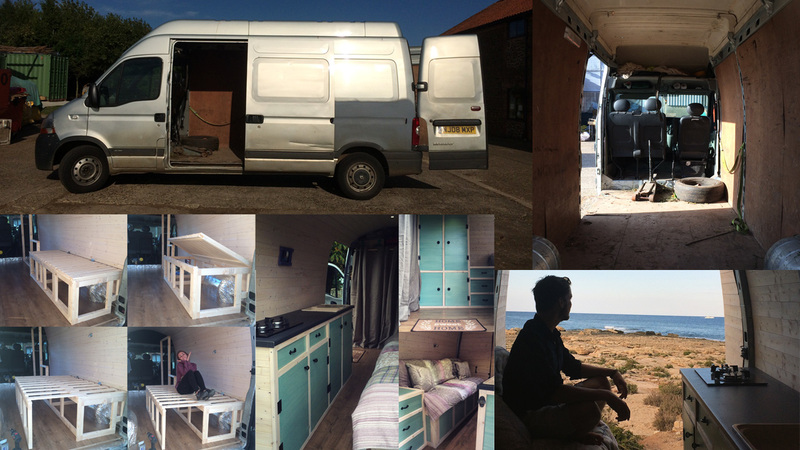 That is the total cost for all of the materials used in the van conversion (although £221.38 of that has not actually been used yet) and is made up of £451.16 of shop bought materials, £642.40 of online purchased materials, and an estimated £500 of ‘acquired’ materials that I will explain below. These costs do not include any tools as I was lucky enough to be able to utilise my dad’s workshop – he makes custom made play equipment for a living. The following materials were all purchased from local shops or their websites. I researched where to buy the supplies that I needed for the very cheapest price and found that with the small quantities I needed, the large DIY chains offered the cheapest products – even cheaper than my dad’s suppliers could offer. I don’t particularly like using these large chains, but it is hard to argue with their prices. I will point out that the quality of some of the products was not brilliant, but price was the most important factor for me. 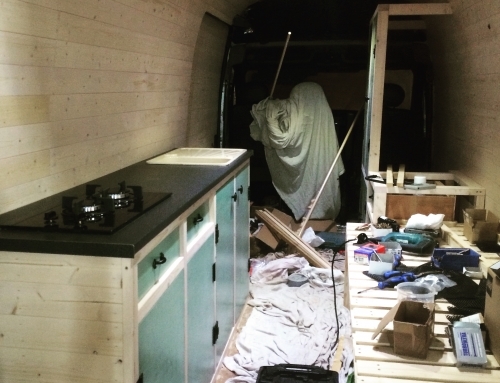 If you are doing your own van conversion and want to buy materials, you can click the links to see what I purchased. Most of the stores I used offer free home delivery which is great for the bulky items, but if you’ve got van, you can go pick the stuff up if you want to see it before you buy it. I’m a big fan of eBay because it allows consumers to buy products at the cheapest price. I ALWAYS use the Buy It Now search function (auctions would stress me out) and all of the one off items were bought from eBay. I have included links to the specific items below if you are interested in seeing exactly what I bought / purchasing the same items and all of the prices are inclusive of delivery. *Item no longer available from same seller, thus a similar item has been listed from the same seller or the same item from a different seller. During my van conversion I utilised a lot of unused stock in my dad’s workshop. Some of this was damaged but I could use it as it wouldn’t be seen, whereas other materials were still in good condition. I have made an estimate of what it would have cost me to buy the materials in question at full price in small quantities. My mum, very kindly, gave me a gift of curtains and bedding. I don’t know how much they cost, but they are really lovely, so I have made an estimate of what it would have cost me. Yes, I could have done it much, much cheaper. 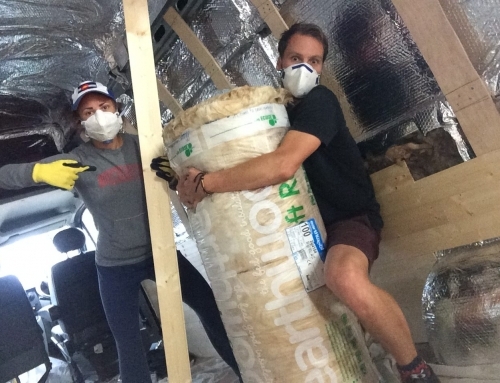 I chose to spend a couple of hundred pounds on insulation (I didn’t want to be cold), I used new appliances (cooking is fun), and I wanted the van to look in a certain way (as I thought I would be spending a very long time in it). However, the conversion could have been done in an equally functional way for a fraction of the cost by neglecting aesthetics and certain comforts. 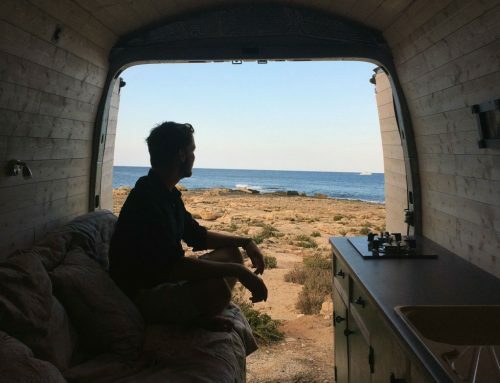 If you are interested in doing your own van conversion, keep checking back for updates as I will be sharing advice. However, also check out this van conversion ebook as it was my holy text and constant point of reference during my van conversion. 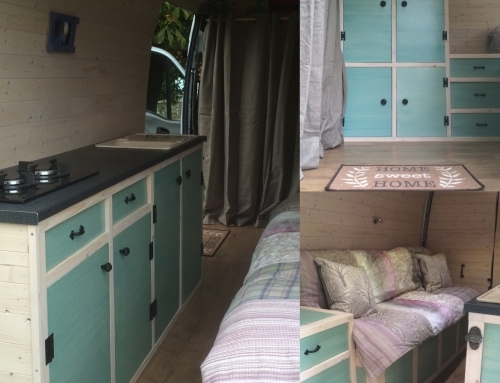 Head to the main Donkey van conversion page for lots more information about how we made the van and our travels in it. Note: This page contains an affiliate link.